It doesn't take a degree in science to know that some scents evoke lover (er, make that lust) more than others. We asked Luca Turin and Tania Sanchez, coauthors of Perfumes: The A-Z Guide (Penguin), to pick the five sexiest perfumes of all time. Smells like: floral amber. "The ultimate fragrance of the unattainable blonds, as incarnated at various times by Grace Kelly, Cybil Shepherd, and Betty from Archie." "Chypre" means Cyprus in French, and it originally referred to the odd mix of scents of the island's vegetation: a bit of citrus, some amber, and a lot of the bitter native moss. People tend to love chypres for their sensual complexity or hate them for their mossy dankness. Newer chypres depart from the mossiness. If you like... Guerlain Mitsouko - One of the oldest chypres -- it launched in 1919 -- and easily one of the most gorgeous, with lots of peach and rose notes on top of the mossy one. 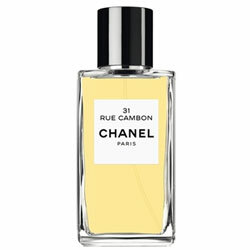 Chanel 31 Rue Cambon - An updated chypre that's light, lean, and sheer, with extra patchouli and less moss. Amouage Jubilation 25 - A modern chypre with a bright bolt of citrus that still manages to please traditionalists. 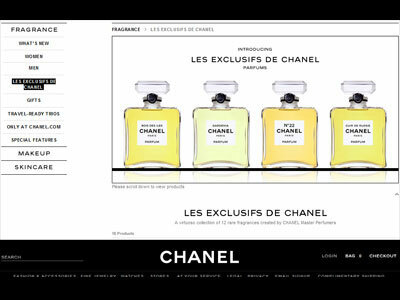 Chanel Coco Mademoiselle - Another updated chypre, and wildly popular, although purists note that it does promiscuous leaps into fruity, floral, and oriental territory.